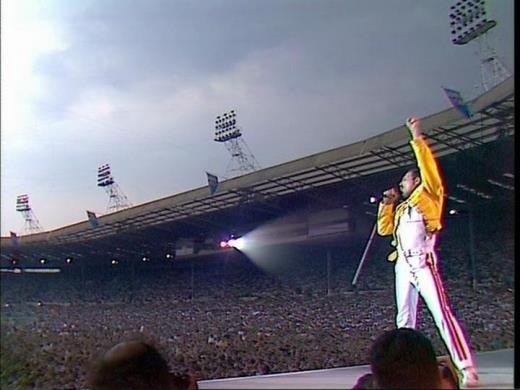 queen at Wembley. . Wallpaper and background images in the Classic Rock club tagged: wembley queen freddie mercury 1986. This Classic Rock photo might contain kawasan bisnis, pusat kota, distrik bisnis, downtown, and konser.